The weekend kicks off with an interesting tie. Spurs, prior to their defeat by Arsenal midweek (Flamini with two goals? Weird times…), had been on a decent run of three consecutive wins following an iffy start to the season. City, prior to their win over Sunderland midweek, had gone and lost two matches on the trot! Considering the rampaging start to their season, many people were slightly surprised to see them come undone in their home defeat to Juventus. Although Juve were last season’s beaten finalists in the Champions League, they have suffered a terrible start to their Italian campaign, compounded by the loss of Pirlo, Vidal and Tevez from their ranks. Still, they possess enough tactical nous in this competition, something that City, for all the wealth of their talent, haven’t got to grips with yet. It was, however, the loss at home to West Ham that had everyone shaking their heads in disbelief. Had their season just imploded in front of everyone. Probably not. It seems that were caught on the hop by a brilliantly drilled, counter-attacking performance by West Ham. Arguably, they should have been more alert to threat posed by this Hammers team which had already extracted maximum points from visits to Arsenal and Liverpool respectively. The defensive frailties of last season which looked to have been addressed became evident again last weekend. Luckily for City, Spurs’ main man, Harry Kane, is suffering from a second season slump. Given the level of his performance from last season, one would expect him to score his way out of it soon but, thankfully for Spurs, new signing Son, has been helping himself to a few. The Korean is fast, fit and has bags of skill and attacking intent. Kane, through no fault of his own, has to shoulder a huge amount of pressure as he is the only recognized striker in the team so having Son ease the workload might bring some calm back to his mind and allow him to flourish once again. 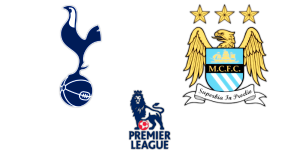 As a team, Spurs have not been brilliant but they do seem to be coming to a greater understanding of each on the pitch and will give City a more difficult match this weekend than they would have had if this fixture was set for a couple of weeks before. Even taking into account their recent losses, City should still be too good for their hosts. It may well be a close run thing but City will probably edge it. Betfred have that result at 20/21. It seems like it’s just a matter of time now before the axe falls on Brendan Rodgers. Wednesday night saw his Liverpool side welcome League 2 side Carlisle to Anfield and the fans were witnesses to a long, ugly night of football where Liverpool held out for famous penalty win after extra-time. There is no hope or light at the end of the tunnel for this Liverpool side unless they effect a massive turnaround in form and results over the next few matches. Hilariously, the club recently denied that Carlo Ancelloti had been sounded out over taking up the managerial reins and the following day ‘sources’ close to Jurgen Klopp were apparently letting it be known that he was willing to cut short his well-earned break from football to manage in the Premiership, should the opportunity arise. It seems the vultures are picking up the scent of a (possibly?) mortally wounded Brendan. From one chancer of a manager to another, Tim Sherwood has managed to find the big buffoon hat he used proudly wear at Spurs. 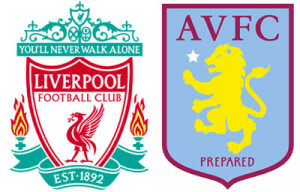 Whilst there’s no denying that he was the right man at the right time for Villa at the tail end of last season and did a great job in turning around the fortunes of that previously moribund team, the general reservations held about the man regarding his ability to set up his team with any type of clarity or guile have once more become apparent. That and his unfortunate penchant for unleashing what he no doubt considers to be manly battle cries but which are in only reality rods for his back and boots of pressure for his players. Last week Sherwood stated that the next two games were amongst the biggest the players at the club would ever play – West Brom at home and Birmingham away. Jordan Ayew, having played in the final of the African Cup of Nations, might have demurred slightly. They managed to lose against West Brom and win the cup tie with Birmingham. Whilst a win is a win, it shouldn’t be overlooked how utterly atrocious Villa were in the first half of that match; better finishing from Birmingham might have sealed it there and then. Grealish came on in the second half and Villa subsequently upped the game and took the derby bragging rights. It was in a moment following the game, however, which proved to be the most instructive. Sherwood effectively said that the first half display was intentional, that he had purposefully sent his team out to be rotten so that they might lure Birmingham into a false sense of security. Even his opposite number couldn’t mask his bafflement with niceties when asked about the post-match comments. So there you have it, Brendan and Tim. Two blind mice, see how they run. As to who’ll win, how long is a piece of string? Liverpool are obviously favourites but the 17/5 from Paddypower for a soul-crushing draw is probably decent value bearing in mind the generally favourable results to go Villa’s way at Anfield in recent years. It’s all coming up Milhouse for Leicester so far this season. They ditched the psychopath manager who oversaw one of the greatest comebacks the EPL has ever seen from a team at rock bottom in Spring then promptly had him committed sacked him and got in all-round nice guy, Claudio Ranieri, to pick up where they left off. Leicester now sit joint third in the table alongside another surprising team in West Ham. Importantly with regard to this fixture, they sit two points ahead of their guests, Arsenal. It’s might be slightly snide thing to point out that win here and the Foxes will open up a five point gap on the Gunners but it’s also true. This column has played with the idea of just copy & pasting nearly any previously written article on Arsenal as they just cannot escape from the hamster wheel of their fate. They inhabit the kind of perpetual time loop that would give Doc Brown and Marty McFly sleepless nights. Sometimes they overlap with us and other times they float about the past, ad infinitum. It’s a singularity that science really should begin to study with some urgency. Readers will know that whatever else it might get right, this column isn’t too hot calling results but not for a second was there a doubt about the outcome of last week’s ill-tempered encounter with Chelsea. Possibly as compensation for allowing Arsenal to operate outside the laws of physics with their time-bending madness, the universe has seen fit to decree that, in matches of note, Arsenal will never beat Chelsea. It is a universal constant and will always be thus whilst the current incumbents hold their respective managerial positions. But surely with the players that Arsenal have at their disposal, they should put away these plucky upstarts, no? It’s a good and obvious question with a qualified answer – they should but would you trust them to? 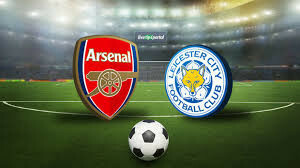 This is an Arsenal team without any real leaders in the team coming up against a home side who recently came from two down to beat Villa away, who haven’t lost all season, who have the player of the season so far, Riyad Mahrez, leaving opposition players on their arses for fun (imagine him against Mertesecker!) and who have James Vardy banging in goals. They lost Cambiasso but have drafted in Inler, a very capable replacement. Arsenal, on the other hand, have predictably lost their sole defensive midfielder to injury as Wenger thought that Arteta is adequate back-up for that position. The force is with Leicester, the sucking vortex with Arsenal. The Gunners will, at some stage this season, get it together and go on a winning run but it’s hard to believe that it’s going to happen any time soon. Leicester to win at 17/5 from Betvictor.